On the evening of the 30th September 2009, I made my way to Ikeja to speak at the Independence Day programme of the Nigerian Conference of Christian Medical and Dental Students. Although the traffic was heavy and tiring, I was more concerned with the way the country was drifting. A few days before, our President had chosen to go to Saudi Arabia ostensibly to attend the opening of a new University of Science and Technology rather than attend the opening of the General Assembly of the United Nations. He was also meant to hold a meeting with the US President and network with a dozen other world leaders. Why did he not go? A commentator suggested 'stage fright'. But jokes apart, it appears that Nigeria has lost its confidence. The leadership mileage that was gained during the Obasanjo era has been completely wiped off in just over two years of this government, leaving the stage for Libya, South Africa and Ghana to determine the pace for Africa. I was also concerned by the irony of the Saudi trip. There, was Yar’Adua basking in Saudi Arabia’s glory of a new University of Science and Technology - reputedly built in 18 months - yet Nigeria’s universities had been shut for three months due to a strike action by lecturers. Much as I was concerned about these issues, what was more disconcerting was the steady unwillingness of this government to initiate or implement any policy that will make life easier for Nigerians. It’s like being ruled by a group of psychotic children who can’t govern but want to govern. Sadly, like a drowning man, most Nigerians have resigned to fate. As you may imagine, these thoughts plagued my mind until I finally arrived at my destination with a few minutes to spare. Once I got there, I delved into the swing of things. Although many Nigerians had understandably concluded there was nothing to celebrate, these Lagos State Teaching Hospital medical students, in their patriotic fervour, had planned the event to celebrate Nigeria’s independence and seek a way forward for the country. Though lecturers were still on strike, they had stayed behind because they receive their lectures at the hospital and apparently because medical students hardly get a holiday let alone be moved by a 'mere' lecturers' strike. I started by telling the story of my unsuccessful attempts to study medicine and how this quest shaped my teenage years. I then discussed with them how they can be instruments in God’s hands to shape our nation for good. I was impressed by their enthusiasm for the country despite the very challenging situation they face as medical students. They would meet again later that evening for a vigil at midnight 1st of October to pray for Nigeria. They would visit the hospital wards in the morning to spend time with patients and they have also planned a visit to Ikoyi Prison on October the 10th. I was amazed at their resourcefulness. They are young Nigerians with little means and a hectic schedule, yet they are painting a different and may I say 'goodly' picture of the country. We all chorused those beautiful words hoping that every line of it will come to pass and soon too. With this I departed full of hope for my country and clearly full of joy after an interesting evening. 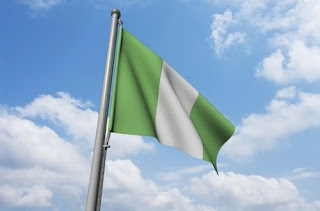 On this our Independence month, Nigerian or not, please spare a prayer for Nigeria.